I met one of my best friends, Rick Rubin (TSOA ’85), through the newspaper. He’d started Def Jam Records out of his dorm room at Weinstein. He was working with all of my favorite bands at the time. I interviewed him for Washington Square News, and we’ve been friends ever since. When you were an NYU student, you appeared in the Beastie Boys’ music video “(You Gotta) Fight For Your Right (to Party).” Can you tell us about that experience? I was meeting Rick for lunch that day. It looks like I was dressed up for a music video, but that was what I used to wear back then. I was on the set and they weren’t done shooting the video yet so Rick suggested I participate in the crowd scene. I noticed that the whipped cream they were using really smelled. Rick told me that the video was so low budget that the interns had taken expired cans of whipped cream from behind the grocery store. If you watch the video in slow motion you will notice that I am the only person who gets almost no whipped cream on themselves, since I was making sure I didn’t get hit the whole time. When did you start working at MTV? I started working at MTV News while I was at NYU. In the summer after my freshman year I worked at CNN and someone I knew at CNN let me know that MTV was looking for a production assistant for “Year in Rock” in the fall. I got that job and continued to supplement my waitressing jobs with writing for MTV VJs, associate producing shows, and writing in the news department. I worked there three out of my four years at NYU. I did the straight news route after I graduated. In my senior year I had used up all of my possible internships in the Journalism Department that I was allowed to have for my major. That is of course one of the brilliant things of going to NYU and it being located in the biggest media market in the world. Instead, I got an internship through Metropolitan Studies working with [legendary reporter] Gabe Pressman at WNBC. With his help and the editors’ help at NBC they would dub the work I did at the television station for me. At NYU they would make copies of these tapes so I could mail them out. At the time it was a financial barrier having to buy the tapes and record them at a high enough quality that a news director would look at them. I was able to do that with NBC’s help. I got a job at ABC in Vermont at a local station called WVNY. I was soon promoted to the state capital reporter and I was covering a female governor, Madeleine Kunin. She had previously been a newspaper reporter. I got to make all my mistakes in that job and some were pretty big ones. I was shooting my own stuff which NYU really prepared me for, because we shot all our own footage at the TV station. I had to shoot my own stand-ups, so sometimes I’d cut my forehead off or forget to white balance and bring back footage that was blue. A few times I used gauze to soften the lighting at a press conference and they lit on fire in the middle of the event. Another time I filmed a whole press conference with the audio cord almost plugged in, so there was no audio in the footage I brought back to the station. It was a good place to make these mistakes and learn from them instead of on national television. In Vermont, they allowed for the learning curve. Trying to manage all of the technical aspects and well as writing and reporting a story was very challenging, especially straight out of college. I remember calling my news director from MTV and saying I really wanted to come back to New York City. He offered me freelance work, but told me that he could never put me on camera. He said that I couldn’t go from Vermont, in media market 90, to NYC, the number 1 media market in the country, so quickly. I told him that I’d love to just be a producer and that I didn’t need to be on camera. I moved back in 1991 and worked as an associate producer, then a producer. It became a five day a week job. I didn’t have a desk or a phone, so I would use empty desks of people who were out of the office and moved my stuff in a cardboard box until I got a permanent desk. How did you become a reporter for MTV News? Kurt Loder was planning to go on vacation and his substitute was John Norris (WSUC ’81). John had loved pop music passionately and his dream job was to be a VJ. Even though people confuse me with being a VJ, I was actually an MTV News reporter. John had just taken a job as a VJ and left the news department right when Kurt was going to go on vacation. That meant that Kurt had no substitute. Out of desperation they pulled me out of an edit room and asked me if I could read a teleprompter. I’d anchored the 11 o’clock news every night in Vermont using a teleprompter. I remember I had my audition on camera and Kurt was in the control room with his fingers crossed. I read like nobody’s business then I was his substitute for the next two weeks. You can tell from the audition tape that I didn’t know I’d be on camera that day. I was wearing a crazy, vintage Pucci dress with loud colors. Despite the outfit, they hired me anyway. Once Kurt got back from vacation, they decided that they liked having a man and a woman report the news. Even though my boss said he would never put me on camera, it ended up working out that way anyway. It was very serendipitous. Everyone at NYU has been told “Don’t take no for an answer,” “Be the first one to show up, the last one to leave,” all of those things I learned at NYU and through working while I was a student. I feel like things worked out for me eventually on camera because I took a leap of faith and decided to pursue happiness instead of ambition. By deciding living somewhere like NYC was what made me happy and making that the most important thing, the rest all fell into place. What was your favorite interview as an MTV reporter? I really loved the Tupac Shakur interview [in 1995, one year before he died]. I researched Tupac’s music for the interview, but it was not the type of music I normally listened to. He was really engaging and making an effort, and you don’t always get that from someone who is so successful. We got along really well and teased each other, so that was a lot of fun. The best thing about working at MTV was the variety of people I did get to interview. Anytime I got tired of interviewing old white men in Washington D.C. about politics, MTV would send me out on the road with the Black Crowes or R.E.M.. The mixture of those two things made it a perfect job for someone in their twenties. How did you end up studying art and photography in California? After covering the ’96 campaign between Bill Clinton and Bob Dole I was very burned out. I’d also been working for magazines, as well as NBC and had been writing a column for The New York Times syndication service – really burning the candle at both ends. I’d applied for the John S. Knight Journalism Fellowship at Stanford and I got it and took a sabbatical from MTV to study for one year. I took graduate level courses in art. It was a wonderful change. At the time I was almost thirty and getting married. I fell in love with photography when I was there. The prospect of leaving California to go back to the Lower East Side was very harsh. I had gotten used to the sun and smelling orange blossoms. I felt like living was easier and less expensive than in NYC. I came back to New York and finished my contract at MTV, then officially went freelance. I’d gotten married when I was studying and I got pregnant. I covered Clinton’s impeachment hearings in Washington D.C in ’99 when I was five months pregnant. That was the last project I worked on for MTV. 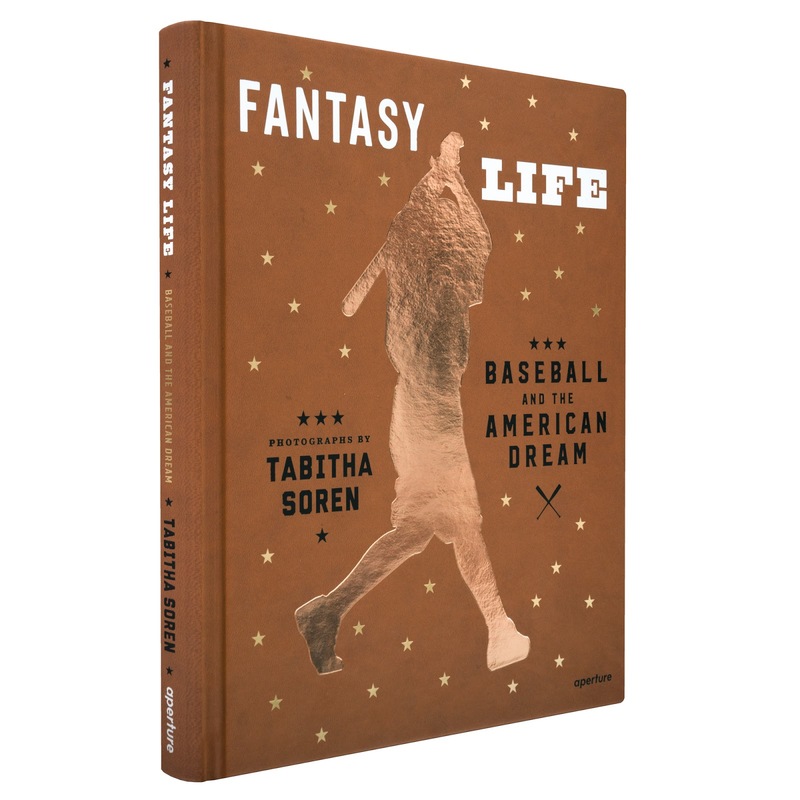 As a photographer you documented 21 baseball players selected for the Oakland A’s 2002 draft class resulting in your book “Fantasy Life: Baseball and the American Dream.” Can you talk about that experience? 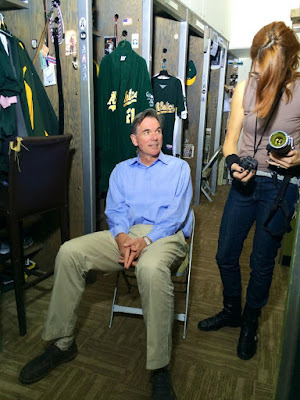 I met Billy Beane who runs the Oakland A’s and he opened up the organization to me. I knew as an artist and a former reporter that I had access to document a very special phase of life. I thought of it as a metaphor. I was introduced to a group of young men in their first spring training. 99% of them had dropped out of college after their junior year to join the organization. I assumed that all of them would go on to play professionally, but as people who follow baseball know, only 6-10% of them ultimately make the team. I was really perplexed about why someone would give up their college degree for something so risky. Through reading and research and working on the project for about 15 years, I came up with some ideas about the American Dream, how it relates to manifest destiny and how we all feel this incredible pressure to be number one and how different it is from other cultures. I used baseball as a metaphor to get at those larger ideas. The photographs themselves are focused on baseball, but they do not look like Sports Illustrated images. I took many types of photographs including tintypes, black and white film, color film, and digital. 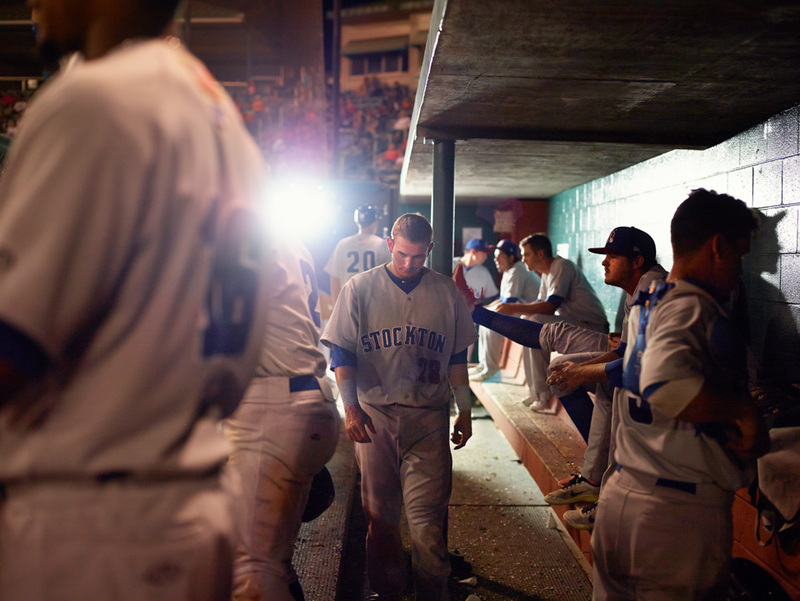 They add up to telling a story of striving – more than simply baseball. I think that is really something everyone can relate to, especially at NYU which is filled with incredibly ambitious, focused people. If you are not that way when you get to NYU, you end up that way by the time you graduate. 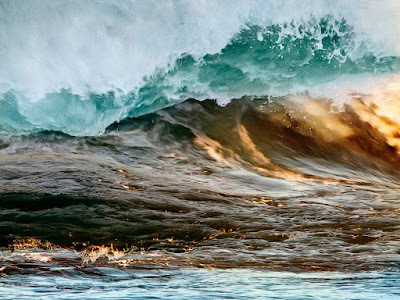 What were the inspirations behind your various photography series, such as “Running,” “Panic Beach” and “Surface Tension”? I started the baseball project in 2003 and I was learning to see through a camera. Now my work is more photo-based. I feel no pressure to make art in a documentary fashion. I’m still interested in truth – but now my priority is revealing an emotional truth. The work has expanded beyond the straight photograph. 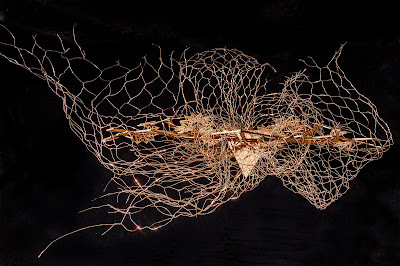 I have several sculptures that I’m showing at Wellesley in the spring. 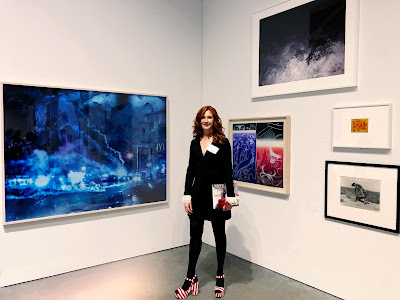 I will have my first museum show at the Davis Museum in spring 2019. The work has expanded beyond the straight photograph. 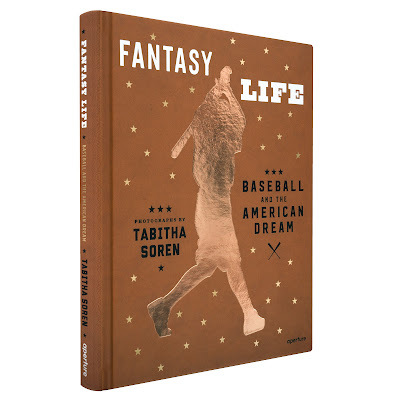 “Fantasy Life” the book is an incredible document. I love the form of the photo book. It is much more straightforward than the rest of my work, because I felt like the material deserved that particular treatment. Most of my work now is trying to visualize psychological states. “Fantasy Life” has a psychological state dominating it which is of striving and pushing yourself while trying to have what we define as a meaningful life through success. The photos are not joyful, so there is an inherent questioning of the way we define success in America. The “Running” project is not about sport. It is about the fight or flight response. Those pictures look like people are running toward something, or away from something. You can’t really tell. They are falling and picking themselves up. That psychological state is something that I think we all deal with on a daily basis. “Panic Beach” is a series of oceanscapes which could be interpreted as beautiful pictures of oceans, but in fact these waves are crashing down on the viewer the way a panic attack does. They are pretty unsettling. “Surface Tension” highlights fingerprints on top of tech screens. They are about the sense of touch as well as the distracted, fractured mental state that we are all in after we deal with our devices all day – phones, tablets, having all of the windows open on your computer, going down the rabbit-hole online when you are supposed to be doing something else. Feeling like you are forgetting something. If you can’t find your phone, it feels like the world is ending. That kind of chaotic tension that we are all grappling with I think is reflected in the gestures on top of those screens. Do you have any advice for students and young alumni? I remember very specifically being at WNBC in my suit and combat boots (so I could run between the desk and the set more easily than in pumps) and feeling so anxious. I was so prepared for whatever job came along but I didn’t have faith one would. I had student loans to repay, and I remember saying to a reporter there who was a mentor to me, Magee Hickey, if I could ever take this feeling away from a 20-something when they graduate, I am going to. If I could help someone make that transition without feeling like the world is going to end, or that they need to get that perfect job. I know how fraught that post-graduation time can be. I think that the best decision that I ever made regarding my career trajectory was finding a location that made me happy. I didn’t realize at first that the location of the job would matter to me as much as the job itself. I grew up in a military family and I’ve lived all over the world so I just didn’t think your geography mattered. But it did. Vermont was not for me. It didn’t dawn on me until I was stuck in one too many cow fields that I’d signed up for moving around to different jobs in better media markets which is the way television news worked at the time. That’s when I decided to move back to NYC where I loved to live and had friends. I knew that I would find a job that didn’t require me to move all the time. Weighing those decisions is important. 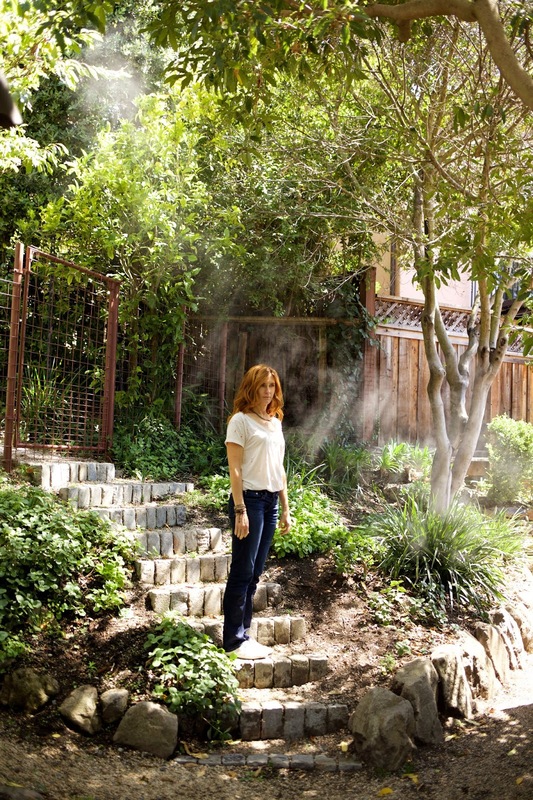 To find out more about Tabitha’s projects and upcoming exhibitions follow her on Instagram @tabithasoren.